Developing a mod is not cheap, especially because you can't legally sell a mod for a commercial game, which is why many mod teams are asking for donations to keep them going. We have always avoided that, but recently we found a loophole. Skins & customizable player models! It turns out it is perfectly legal to sell ingame items for a mod, as long as the mod itself remains free. Because of that, you will soon be able to buy Waffenkisten (tm) (Weapon crates) directly from the FH2 Launcher. These crates will come in various bundles and prices! 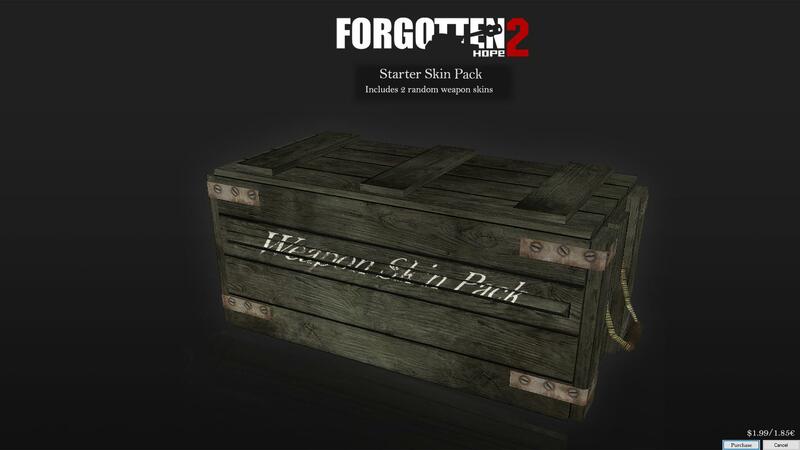 For an example, our "starter skin pack" will sell for $1.99/1.85€ that includes 2 random weapon skins. Buy as many as you can, because we have over 100 weapon skins in stock which will range from "Common" to "Experimental" rarity. Note that you cannot get the same skin more than once, our code has helped prevent that. As you can see, cracking open crates can be a fun thing to do. Now look at what we have here! Customizable player models is something we've been hard at work to implement this system! 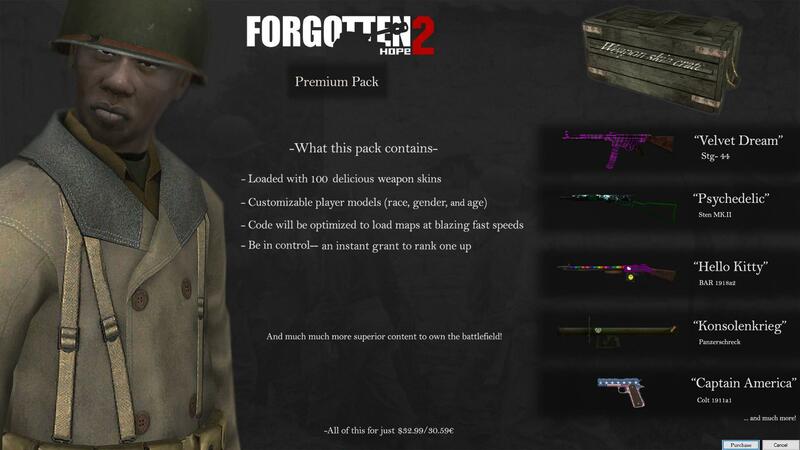 Currently, the only offer to include customizable player models is our fabulous "premium pack". 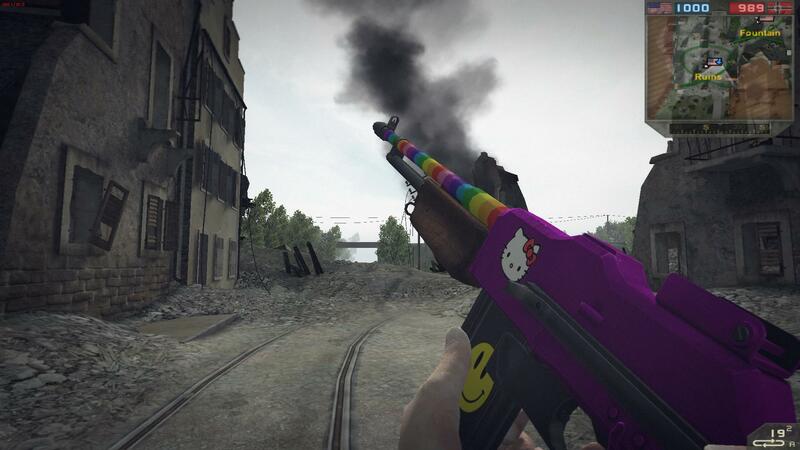 It comprises of all of our weapon skins (100+), unique benefits, and, yes, those customizable player models! As we all know, social progress today is achieved not through daring political protest or sensible legal change, but through inclusion of your social group in the soulless consumer product of your choice. 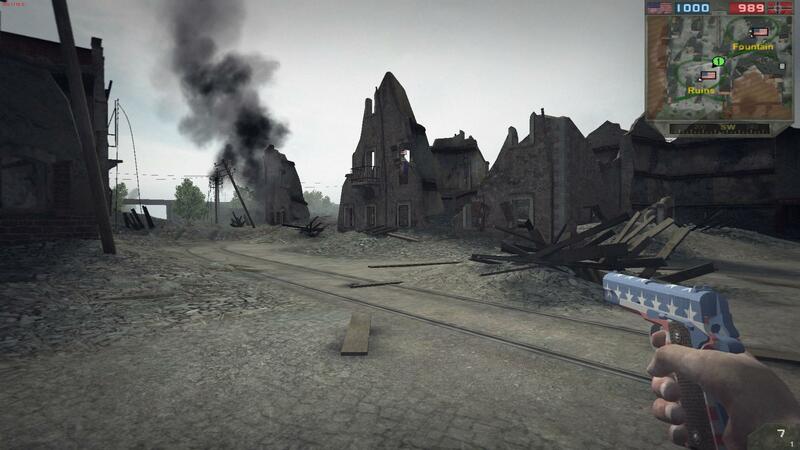 Because of this, you will soon be able to choose the race (5 options), gender (15 options) and age (everything from Volkssturm to Volkssturm) for your ingame avatar. 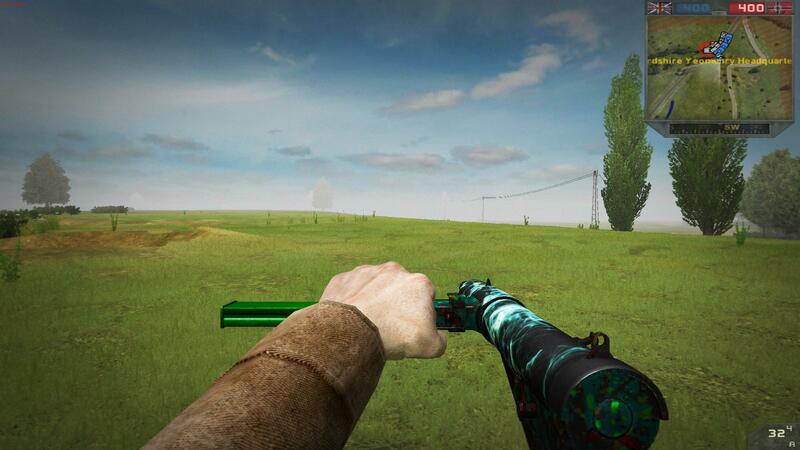 To get a taste of our weapon skins, here is an ingame preview down below. We regret that we can't show you much more screenshots yet, since as they have yet to clear our progressive review. Good news again is that vehicle and aircraft skins will also be released in the future, as soon as we find a way to implement them without increasing texture load too much. We are also working on a kill tracking system, adding a notch to your guns buttstock for every 100 kills made with that model. 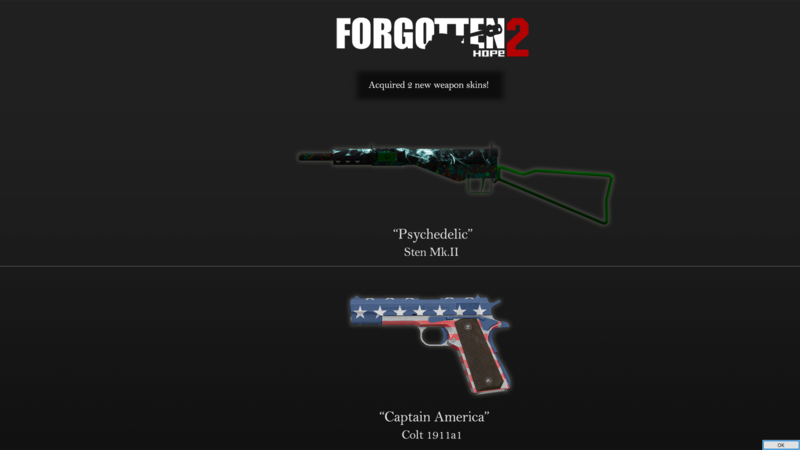 The weapons skins we have shown so far were made by a dev who has asked to remain unnamed. Also, I really want that Hello Kitty BAR! Also I actually like the look of that Colt. Good April Fools joke this year. And are the Devs and Beta-Testers going to get the skins for free?? 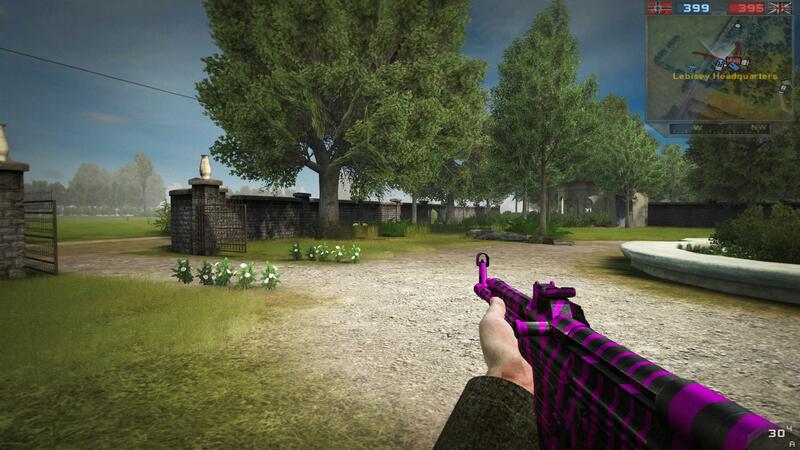 Due to technical limitations, unlimited access to the skins is not compatible with the already existing power-ups for devs/testers (such as being able to pick/spawn any weapon/vehicle on any server), so you will still see devs/testers running around without custom skins in order to still use those secret abilities. This is FANTASTIC! I can't wait to download! I kind of want to see the 1911 as an easter egg in game . Sadly most of the existing easter eggs seem to have been slowly phased out (Indiana Jones and the bare knuckle boxers). The only one left that I know of is the angry farmer which I don't really consider an easter egg because of how amazing the Drilling is, and so nobody actually uses the pitchfork. Note there is a sword (Scottish I think) on Pegasus Bridge. 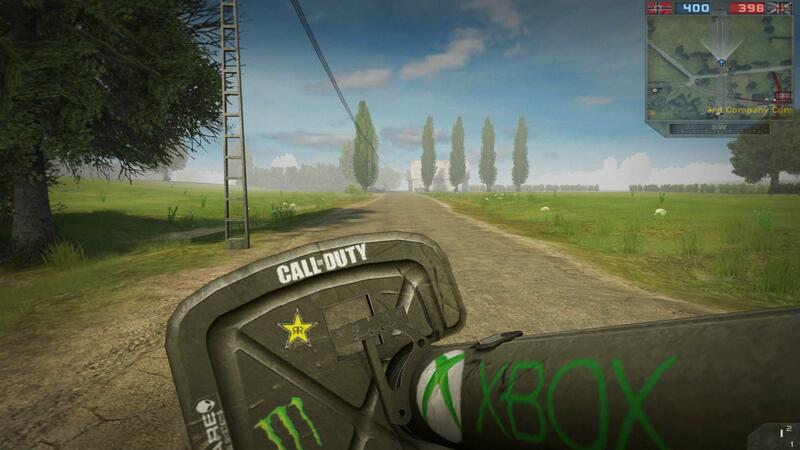 But maybe this could client only, as it will be less textures, and for other people, more realism? Easter eggs are Easter eggs because they are Easter. In other words-they won't be that interesting if we have them everywhere. But where?? Give me a small hint.